I woke up at the break of dawn, stretched my arms, got out of my comfy bed and drew the curtains. Deep in the horizon the snowy Himayalan peaks glistened in the delicate rays of the sun, the trees turned into lighter shades of green, birds chattered away and colourful flowers smiled as dew drops tickled them…it wasn’t a dream, it was the beauty of Kanatal. 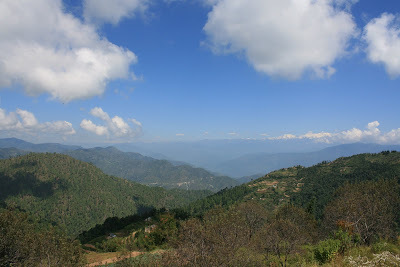 My search for a place where I could have a peaceful and undisturbed conversation with nature led me to Kanatal. 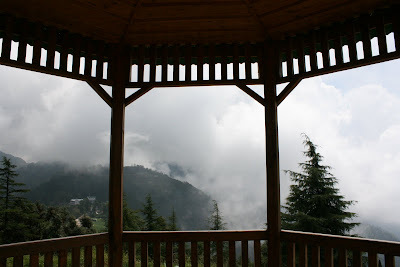 Hidden from prying tourist eyes, this tiny haven is situated in Uttranchal at a height of 8,500 feet. 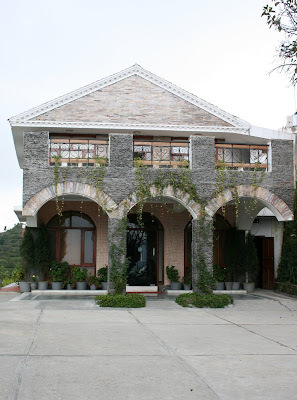 Driving up from Delhi, I saw no signboards or milestones indicating the location or distance of Kanatal, the only medium of recognition was a resort called The Terraces. When I reached the resort I realised why this place was veiled from the outside world. I have never witnessed a place so surreal, so secluded; completely untouched by the vices of the world. I’d wake up early each morning and share my morning tea with the mighty mountains, subtle sounds of nature, the absence of chaotic crowds and the warmth of the cool breeze; it was the most wondrous escape. The hustle bustle and stress of city life had left my mind immensely cluttered. But as I sat there in complete silence, my mind felt lighter, my scattered thoughts settled down like the filth in a purifier system and let the serenity seep in. Silence never felt so comforting. A few days later a group of foreigners came to Kanatal for a yoga and meditation workshop. Needless to say, we instantly bonded. In the evening we all got together around a bonfire -- keeping us warm from the chilly weather -- and each of us shared our journey of life. After several funny and interesting stories of our travels throughout India and our search for a tranquil space, we finally decided to hit the sack and promised to wake up at 6 am to practice yoga and meditation amid the great outdoors. After the session I felt super energetic and bouncily went back to my room, put on my shoes, gobbled my breakfast and headed out for a trek in the forest nearby. Treading along the narrow path, I climbed my way towards a small Shiva temple atop the hill. The secluded temple was a simple construction with an idol of the deity inside and a little copper bell hanging outside. The view from the top was spectacular; soft mist shrouded the valley below and clouds came down to rest on the mountain’ shoulders, I just sat there and stared for hours. I spent the rest of the day imbibing the precious gift of silence, penning my thoughts, thinking about my life for which I didn’t seem to have time before. I plucked apples from the tree outside my room, I took a walk in the garden and smelled the fragrance of the flowers and then I lay back and gazed at the clouds passing by. I realised in every individual’s life comes as awakening, a chance to peek into your soul and find out the answer to who you truly are and what makes your presence so valuable to this world…I knew I had found mine. Published in Mumbai Mirror, April 2010.
lovely place. more so cos like you said, its away from the hustle n bustle of normal touristy hill stations. the peace experienced amidst the hills and valleys is unmatched. I had a similiar experience in Joshimath, which is a small stopover village on the way to the famed Valley of Flowers.I guess Uttaranchal/Uttarakhand has many such unexplored gems. And in a way i am glad that they are unexplored. Its a paradox in a way. On the one hand I cringe at how ppl jus flock to international destinations without realising that India has much better places, but then immediately I feel that its better that way, cos then those places wont become the next Lonavla or Simla for that matter in terms of tourism. Wow what a beautiful place. Cant wait to go there! Awesome. Love the pictures. Looks like an amazing place. Does the hotel have a website as well? Would love to check it out and possibly include it in a future itinerary. What's the best time to travel? Yes, it does. This is the website: http://www.theterraces.biz/ I vsited the place in September, but once I saw the winter pics of the resort completely clad in snow, I thought winter was a better time to visit. Your most welcome :) This place has great weather all year round. It certainly is Renu. You must visit some time.